Maintaining a beautifully landscaped lawn not only pleases the property owner, but also pleases everyone that comes into contact with the well-manicured lawn. Property values increase, neighborhood values increase, and the beauty of the world around you seems better every day. 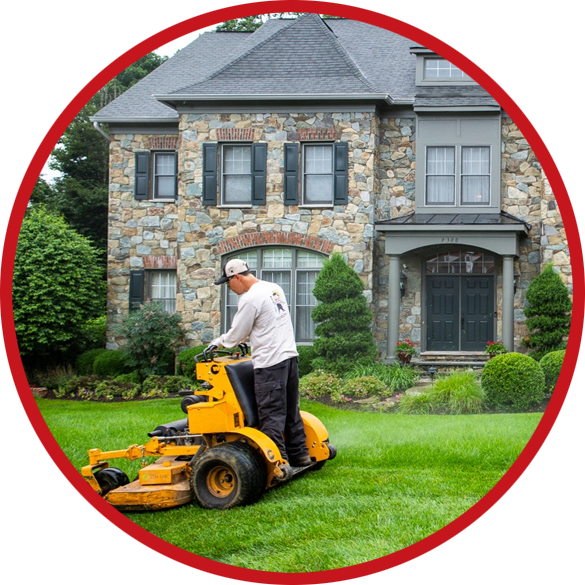 Within the Baltimore metropolitan area, Outback Lawn Service is your company, that wants to help you maintain an exquisitely maintained lawn. If we may provide maintenance lawn care services to you, then please contact us today. Lawn care is a property care project that needs to be preformed on a regular basis. If you are the owner of a residential or commercial property, then you know how much effort can be involved in properly taking care of a lawn. From mowing, trimming, blowing, seeding, aerating, leaf removal, snow plowing, and more, there always seems to be some sort of outdoor project that needs to be performed. Outback Lawn Service group offers lawn care services that will completely take care of all of your lawn care needs. Our goal is to help our customers on a routine basis, keep their lawns looking as nice as they can possibly look. We also aim to keep our customer’s lawns healthy and thriving throughout the year, and in all types of weather conditions. If you are interested in a maintenance plan for all of your lawn care needs, then call or email Outback Lawn Service today. One of our professional team members will gladly discuss our different maintenance packages with you, so you can be thoroughly informed of everything that we have to offer. Additionally, we also offer free estimates on all potential work projects, so if you would like one of our team members to visit your property, and give you an in-person quote, then we will gladly provide that, as well.